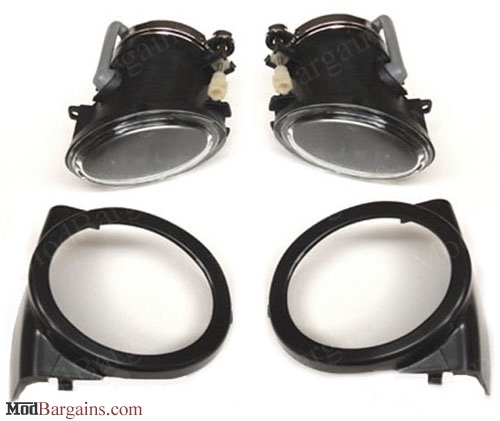 Replace your E46 3-Series', E46 M3's, or E39 M5's existing cracked, fog lights with our Replacement Fog Lights for a like new clean appearance. 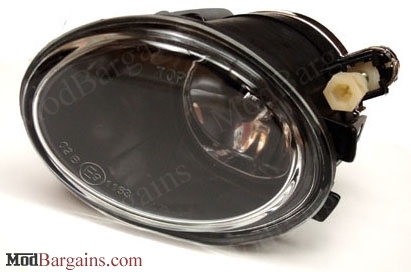 Replace your M3's or M5's stock, cracked fog lights with a set of clear fog lights. The fog lights are direct replacements for the fog lights that are currently on your car, and require no special work for installation. Included with the fog lights are: the light covers, and fog light bulbs. The lights are sold per pair, and will fit all E39 M5s, E46 M3s, and E46's with the M-TechII front bumper. New design does not require removal of the front bumper to install.